The Cacao de Chuao, also called premium or fino, was already very famous in colonial times and is highly appreciated by master chocolatiers around the world. Cocoa is a tropical fruit, it has very nice seeds that can be eaten like the sucker or the soursop, it is grown under the shade of the trees, in very cool places. Chuao was one of the first towns founded in the XVI century by the Spanish colonizers and its first inhabitants belonged to the Caribbean ethnic group. 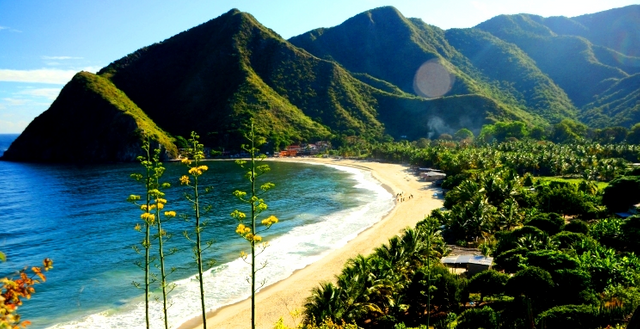 It is considered the oldest of the towns of Aragua, with an important archaeological and ethnographic heritage, it is currently a parish of the municipality of Mariño, composed of 11 hamlets with a population of about five thousand inhabitants. For people who love cocoa, Chuao represents the maximum expression of a Venezuelan, since the cocoa in this area is very appreciated for its sweet taste, it is to be noted that women play a very important role as they are in charge of pending the sowing of cocoa and the harvesting and post-harvest work. 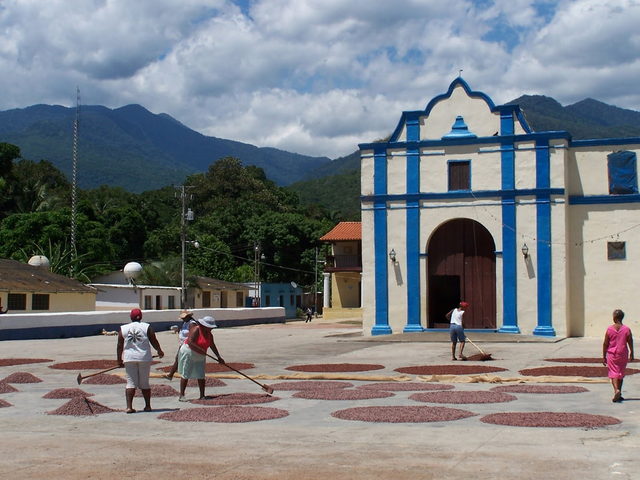 Each small producer of Chuao works autonomously in the early stages of production but collectively from the harvest, all cocoa is treated in the same way in the fermentation phase and dried in the sun in the town square. The expert hands of the women know the exact point in which the cocoa is ready in each of its phases. The taste of our cocoa, which is the raw material of chocolate is exquisite, for the most demanding palate, when a tourist comes to our country, the best welcome we can give is a chocolate bar. We will hear you comment that it is the best chocolate you have tasted in your life. 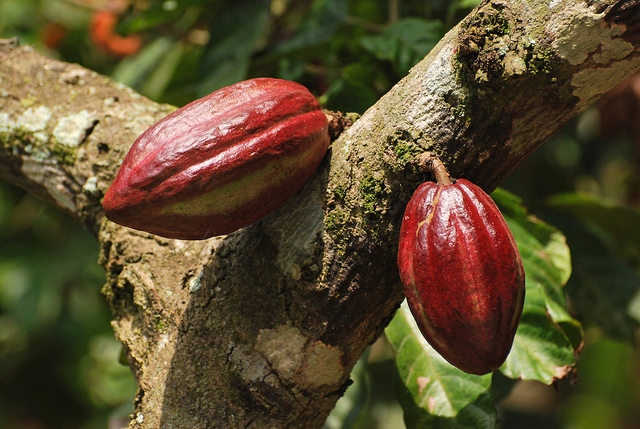 Every day the reality of this tropical fruit becomes more popular, workshops, conferences and even congress are held where the quality and benefit of cocoa are discussed. Once the works are finished, all of Chuao's production is sold together to international buyers. Our beautiful town of Chuao in Venezuela. The outstanding experts of the cocoa of Chuao. In Venezuela. The cocoa in all its splendor. Hello @perlanacarada, thank you for sharing this creative work! We just stopped by to say that you've been upvoted by the @creativecrypto magazine. The Creative Crypto is all about art on the blockchain and learning from creatives like you. Looking forward to crossing paths again soon. Steem on! Hola amiga. Hermosas fotos. Nunca he visto un cacao. Saludos.